While Stars and Stripes had reported back in December of 2018 upon an April of 2018 fentanyl bust that netted over 118 pounds, their story also explained to us that the fentanyl drug business is extremely lucrative, helping to explain why so much of it is now being seen here in America. Reporting that one kilogram of fentanyl, purchased from China for $3,000 to $5,000, can then be turned around to generate revenues of up to $1.5 million here in America where it is often mixed in with heroin, their story also warned that fentanyl should be treated like a weapon of mass destruction rather than another 'legal poison' which was created by big pharma back in the 1960's but only in recent years became so prevalently used, leading to so many deaths. 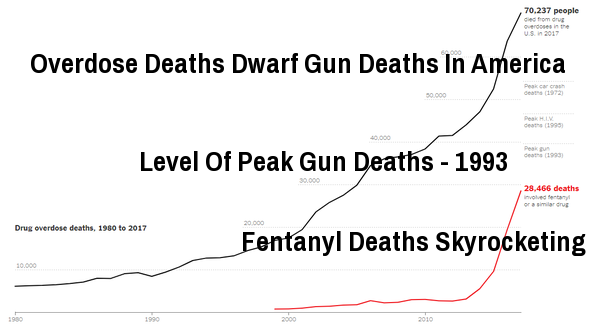 As Reach MD pointed out in this October of 2017 story, fentanyl quickly became America's leading cause of overdose deaths over the past several years as drug users sought out the strongest products and as this November of 2018 story over at the NY Times and the graph from their story below shows, while Democrats still scream about taking Americans guns, opioid overdose deaths are absolutely dwarfing the number of deaths caused by guns in America. With 1993 the peak year for gun deaths in America at approx. 40,000, the 70,000+ who died from drug overdose deaths in the US in 2017 should be receiving much more attention with that number almost twice the number who died from gun deaths during that peak year. Yet the opioid crisis is rarely mentioned in Congress because it has largely been caused by 'big pharma' and that same 'big pharma' is donating tens of millions of dollars every year to those same members of Congress. 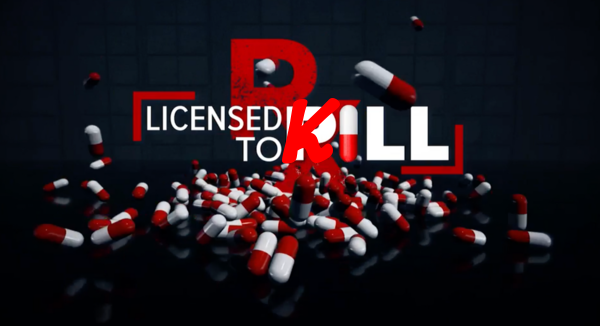 While President Trump once mentioned that maybe drug dealers should be executed in America, this April of 2018 story over at the Institute For Policy Studies took a different angle, with the author of the story suggesting that maybe 'big pharma' executives should be 'executed' instead. 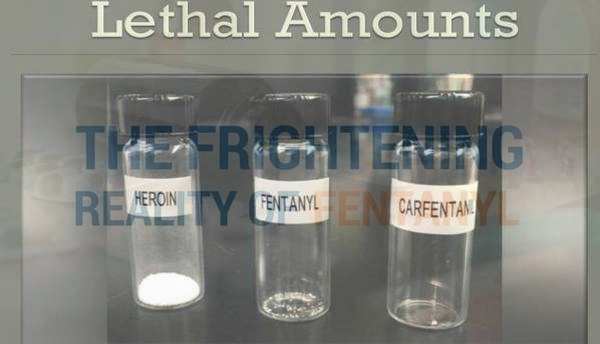 As we see in the graphic above, the lethal amount of fentanyl is so much less than the lethal amount of heroin and with fenantyl often mixed in to heroin on the streets, those purchasing such drugs have no way of knowing what they're really getting. 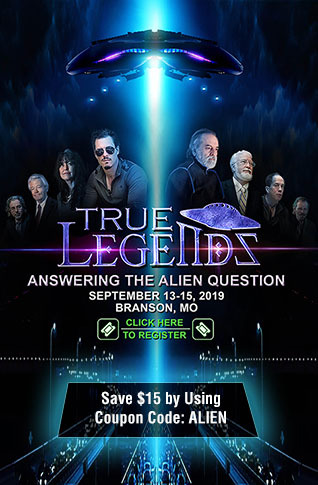 And while this story over at Narconon reports that some experts have declared it's impossible to overdose by simply touching fentanyl, a claim that even a Trump administration training video agrees with as Medical Express reported in this August of 2018 story, there have been other reports from first responders who overdosed after accidentally touching the drug with one police officer almost dying after coming across it during a traffic stop as EMS World reported in this story. We should consider ourselves extremely fortunate that it hasn't yet been used as a weapon of mass destruction to kill thousands or even more innocent Americans yet as the recent southern border seizure of enough of it to kill over 50 million people shows, as long as there is a demand for it and millions to be made off of it, this stuff will keep pouring in. In this December of 2018 story by S.D. 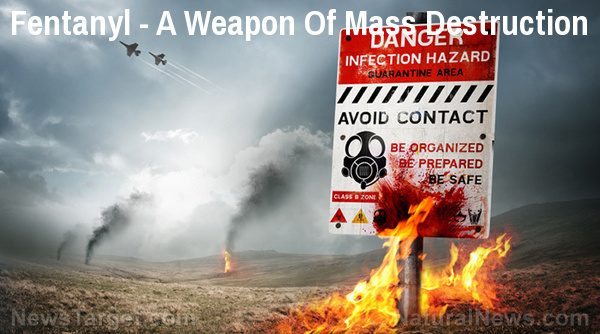 Wells over at Natural News they report that national security experts have warned that fentanyl will likely be used by someone as the next WMD, warning within their story that all it would take would be 1,500 pounds of the drug to wipe out every man, woman and child in America if properly dispersed. This line from that story is bothersome: "If terrorists were to make a dirty bomb using around 1500 pounds of Fentanyl, they could wipe out every person in America." In the first video below from 7 News we see a HAZMAT team responding to a fentanyl overdose in full hazardous material gear as if they're going into a war zone while in the 2nd video below, we learn about the history of fentanyl. 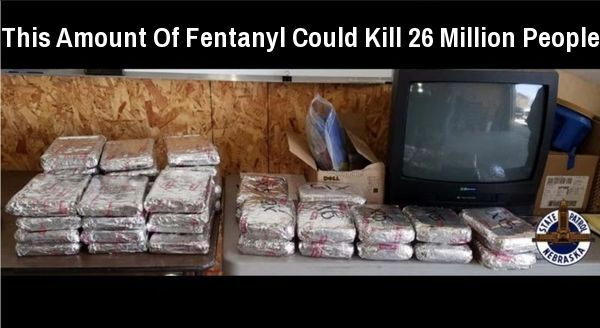 In the final video below from the Zolna Report, we hear about the massive recent fentanyl bust that thankfully prevented more than 250 pounds of a deadly chemical weapon from coming in to this country that could have led to the deaths of millions.